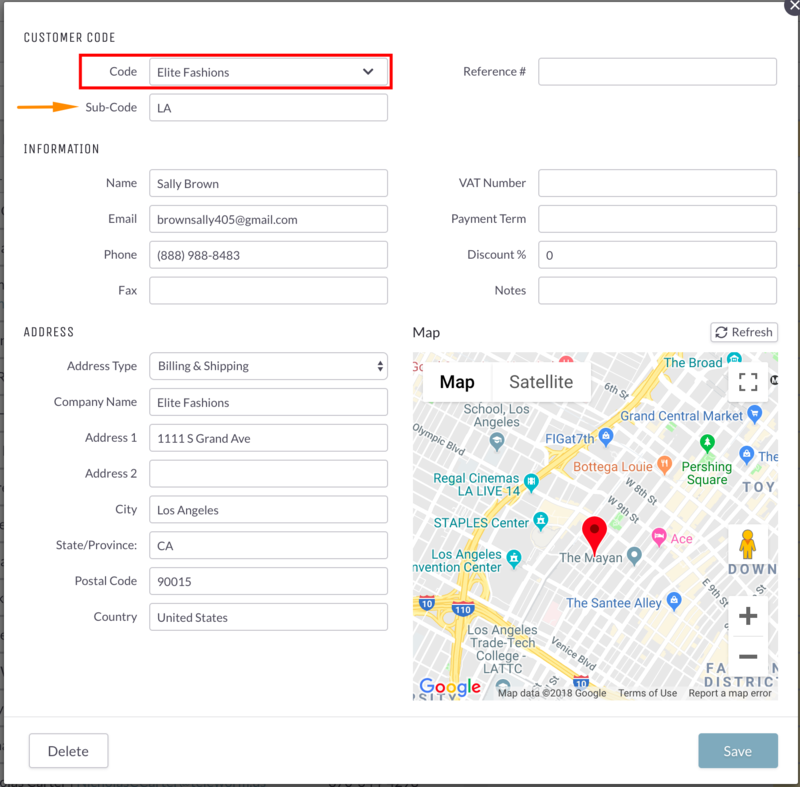 Your Customer List works like a personal address book and allows you to manually save buyer information for easy retrieval and for associating with Orders. When Orders are associated with your saved Customers, you can filter your Orders more reliably and get basic stats about Customer activity. Without this, your Orders will not be linked in any way, even if they share the same contact information. Note: The Customers List cannot be used as a mailing list since Brandboom does not support email sending. It also does not save information from Orders automatically. If a Customer requires multiple entries, you can create a separate Customer Card for each set of contact information you'd like to associate with the same Customer. They can all share the same Customer Code (e.g. "Elite Fashions") but have different Sub-Codes (e.g. "001", "LA", "Dallas") to differentiate them. See Add or Edit Addresses to an Existing Customer for more info. A Customer must be manually applied/tagged to an Order to associate the Order with the Customer. Even if the Buyer information (Name, Email, Address) listed on the Order matches a Customer you have saved, it will not be selected automatically. See Associate an Order with a Customer for more info.